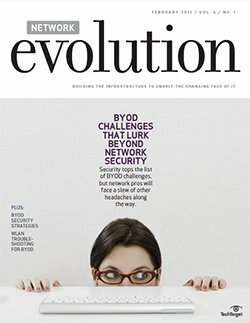 Everyone knows security tops the list of BYOD challenges, but network pros will face a slew of other headaches along the way. With no single solution for BYOD network security, engineers are getting crafty at integrating varied technologies to handle the challenge. Since there is no silver bullet for BYOD networking challenges, engineers need to get creative in technology integration … and then get management on board.